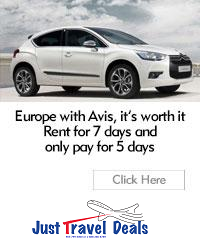 discount car rental services, discount airfare, and discount hotel reservations. Spring or Summer car rental right now is a fantastic way to save money before the peak season rates increase. We also offer free one car-class upgrades, savings of up to 30% and free GPS rentals. There’s nothing more fulfilling than a successful trip abroad. You know the kind, where everything goes off without hassles or headaches and you return home feeling rejuvenated, refreshed, and maybe just a little more culturally diverse. Whether for business or pleasure, these are the travels we dream about and nothing could be better than a relaxing vacation overseas.